I was listening to Big K.R.I.T’s mixtape The Return of 4Eva, and ‘King’s Blues’ came on. On the hook, is a sample from Erykah Badu’s ‘Time’s a Wastin’ from Mama’s Gun, and it suddenly prompted me to do this post. Erykah Badu is one of the quintessential female artists that helped shape hip hop for what it is. With her soulful voice, her hip nature, and her iconic afro, she really lead a movement of the afrocentric inspired music (I’d rather not say Neo-Soul) around the same time as D’Angelo, whom I recently paid homage to on the blog. She also made her impact with collaborating with The Roots. Badu is one of those artists that came up in the 90s and took the world by storm, and her first 2 albums proved as such that she’s a great artist. Her stories, the production, and most notably, the voice is what captivated everyone. It’s hard to argue with anyone that she’s an amazing singer with a vibe that can make you feel comfortable at any given time with the sound of the live instruments flowing behind her vocals. 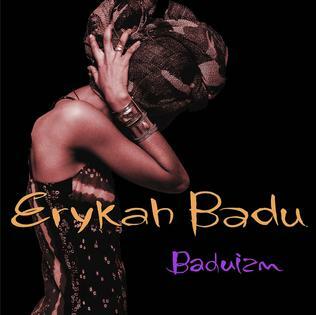 Badu has so many classic songs that many people have in their music libraries, so it’s only right that they have the full albums to rock out to, isn’t it? I mean, it’s ONLY right. 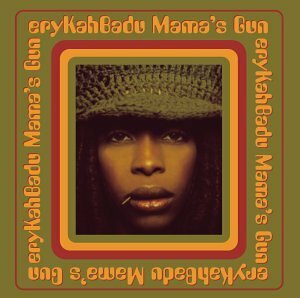 So, here I give you Baduizm & Mama’s Gun. Two classic albums. One great artist.